From his very first day of life, when he rises from his bath to pray to God, it is clear that Nicholas is a miraculous child with a spiritual destiny. As he grows he is deeply saddened by the sickness, suffering, and death that he witnesses every day. Looking to use his special gifts to affect change in the often desperate world around him, Nicholas dedicates his life to worshiping the Lord and helping those in need. Through his good works, Nicholas becomes the youngest man to ever become a bishop and the patron saint of seafarers, children, and prisoners. He performs more than twenty miracles, including bringing those wrongly killed back to life and going to people in need as an apparition, providing solace and inspiration. 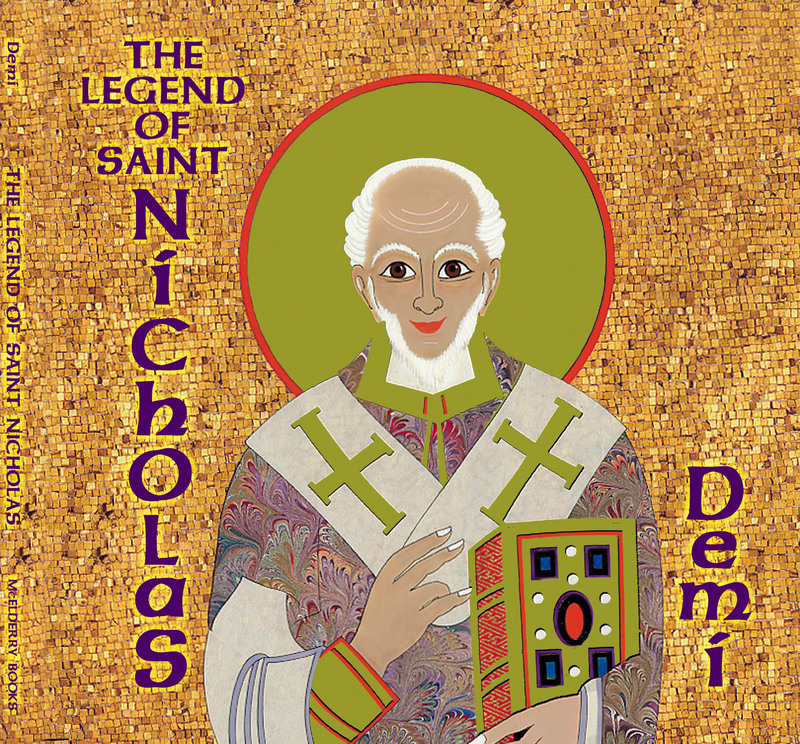 In The Legend of Saint Nicholas, Demi describes pivotal events in the history and life of the saint, weaving a rich tapestry of luminous imagery into the story of his connection with Christmas and our modern-day Santa Claus. Demi's gilded artwork brings Nicholas to life in a way sure to mesmerize readers new to the story of this fascinating and important historical figure.